You love the traditional, smoky-hickory flavors of bacon and sausage. But you also have an adventurous side! You enjoy exploring unique flavor profiles. You vacation in obscure locales. You drink pumpkin beer. Okay, maybe you draw the line at pumpkin beer... But we designed this combo for those who enjoy both traditional and non-traditional flavors. We chose 2 of our favorite packages of BACON and 2 packages of SAUSAGE from our selection of artisan products. 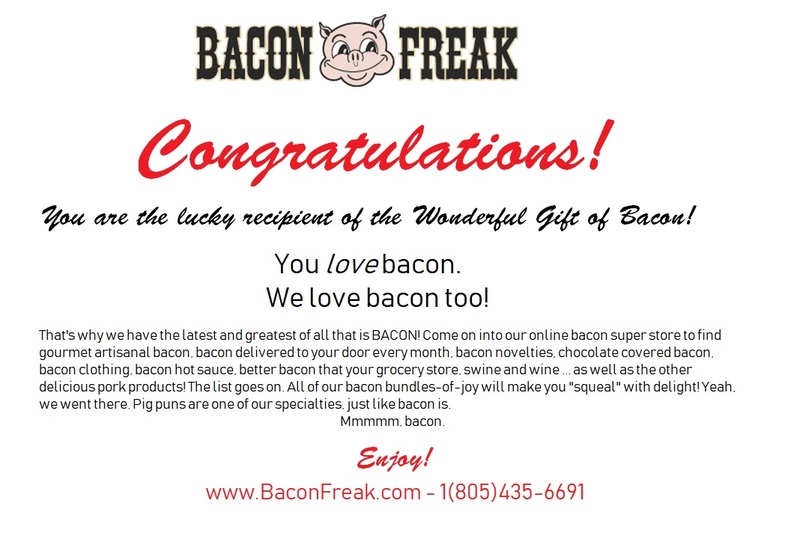 This combo includes 1 pack of the following bacon: Bacon Freak Hickory Smoked Country Bacon and Bacon Freak Everything Bacon. It also includes 1 pack of the following sausages: Mountain Smokehouse Cajun Sausage, Mountain Smokehouse Fully Cooked Breakfast Sausage. (Flavors may vary from photo). I sent this as s birthday gift!. She was very happy with everything!